Mexican pressing probably late 50s early 60s. I found this in a Northern Kentucky thrift today. Obscure LP and artist. Nice cover of exotica favorite, Song Of India. 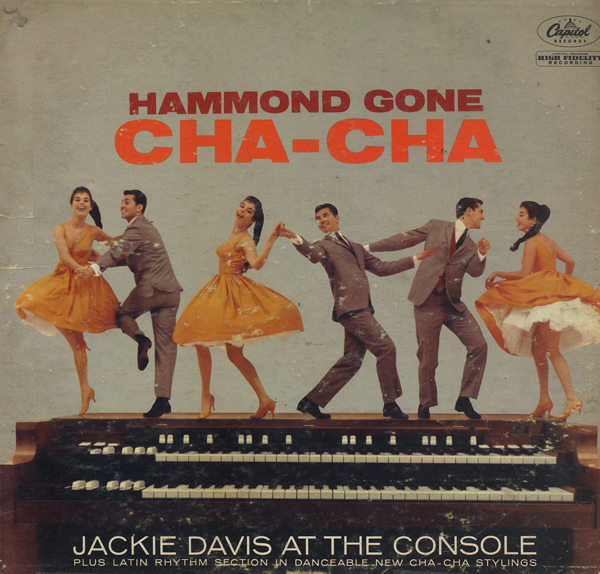 Davis was know for small soul- jazz combo with occasional stylistic detours like this album. Fabrica De Discos Peerless, S.A. 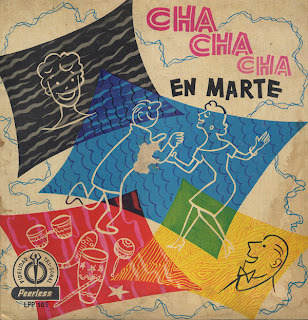 Obscure late 50s Cha Cha record from Peerless which sold record, for the most part in Latin America and some communities in the Southwest United State. 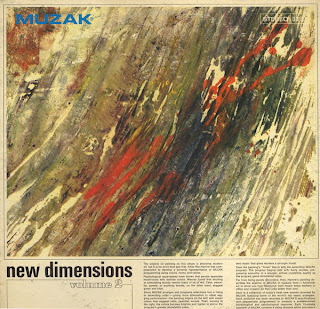 Only that Muzak sound can bring up the memories of that trip to the local Woolworth's department store. Your mother made you hold packages of women's underwear while she tried on shoes. You sat there red faced as you watched the school bully shoplift the latest Beatles album. He sees you looking at him and makes a menacing motion that he is going to kill you. 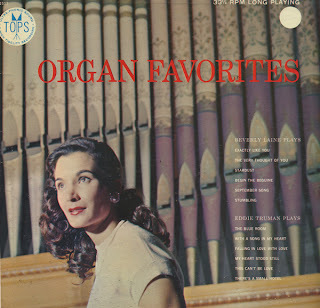 Nice pop organ album from TOPS. This was one of those albums that I would have thought would be fairly obscure. It is, except that all of the songs are available for download at the usual online resources. 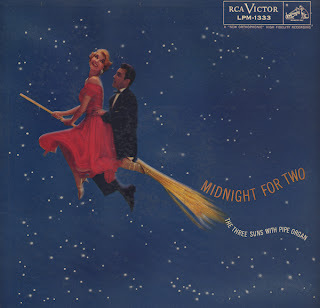 Again, why some albums are digitized and sold and others are not... I'll never know why. What is obscure are the artists. I can't find any bio information online. This is second example of "microgroove" technology from Tops that I've listened to in the past several days. Both pressings sound thin. I attributed the sound of the first record to a bad pressing, but I'm not sure now. Budget release featuring Perez Prado, Tito Rodriguez, Miguelito Valdez, Nat Charles and Jose Gomez. However, tracks aren't attributed to the artists. The pressing is not good. Hopefully the entire run wasn't manufactured like my copy. Manufacturing issues aside, the "B" mambo side is peppy play through. 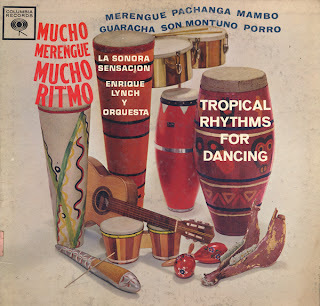 I post this obscure LP today featuring a Peruvian Orchestra leader, Enrique Lynch. There are numerous hits online with returns for various recordings, but no hard bio information (at least in English). This album is a mix of vocals and instrumentals, and while there is some english on the cover, this LP was produced by Industrial Sono Radio, S.A., Peru and apparently imported. The music is peppy, all-be-it fairly traditional, Latin big band. This album was a radio station copy, WAEF-FM. WAEF (104.3) which is now WRPM (98.5), Cincinnati, Ohio. Beautiful jacket on this Three Suns release. I've found a number of Three Suns albums at the thrift over the past several weeks. 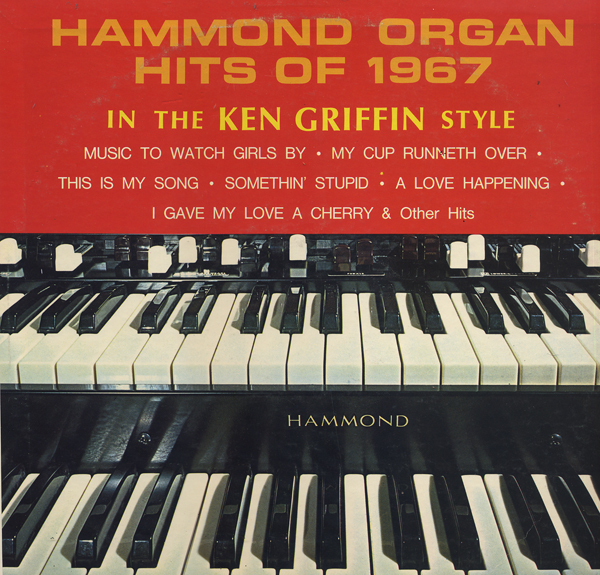 Tracks from this LP are one is available by-the-download. But the art provided is not this art. I'm not sure why so many digital and CD releases do not feature the original art. If you like to find out more about The Three Suns, you might try their page on spaceagepop.com. This album is still enjoyable vintage easy listening even though it is not on the spaceagepop Three Suns "must-have" list (of more "experimental" albums). 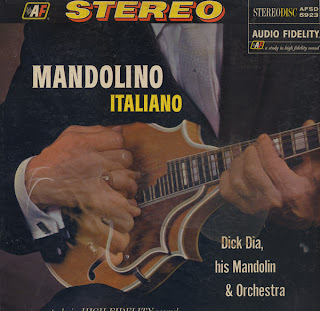 There are a few great "space age" mandolin tracks on this LP. 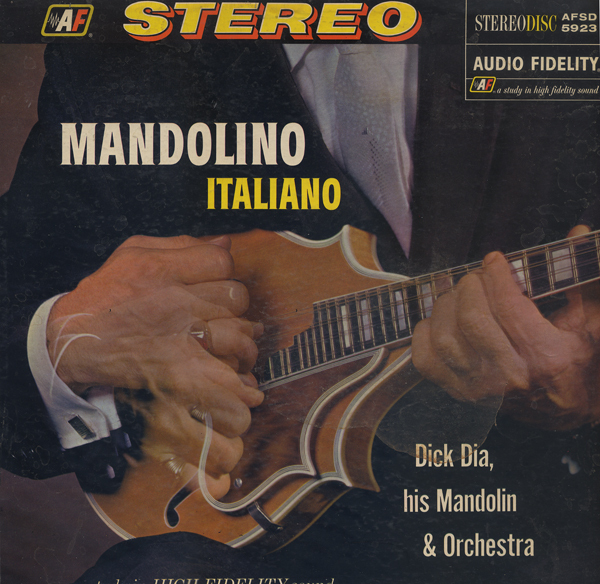 As usual, Audio Fidelity comes through with slightly off beat take on traditional music. Not much to be found on Dia. From the back cover: "For many years he has had his own orchestra, and also served as musical director of New York Radio Station WOV for fifteen years. 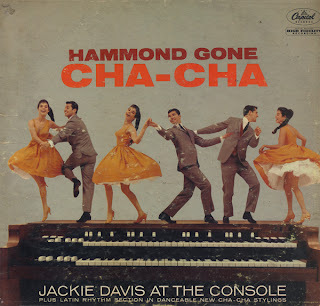 He also apparently played with Perry Como, Jackie Gleason, The Ames Brothers and Johnny Desmond. 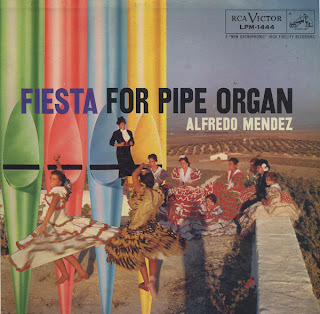 The last type of "Latin" album I expected to run across was one featuring the pipe organ. But here you have it! I'm a big fan of Korla Pandit, who played the organ in more of a "percussion style". Few artists, that I know of, played this way. I might have expected to hear "Latin" like this from him. 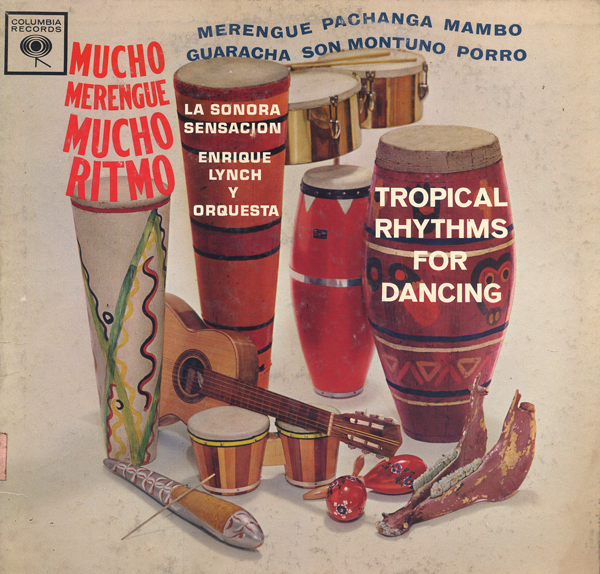 In fact, Pandit covered one tune on this album, Espana Cana. There is slim mention of Mendez online. He played on a Three Suns album, The Things I Love In Hi-Fi. There is very little to go on. 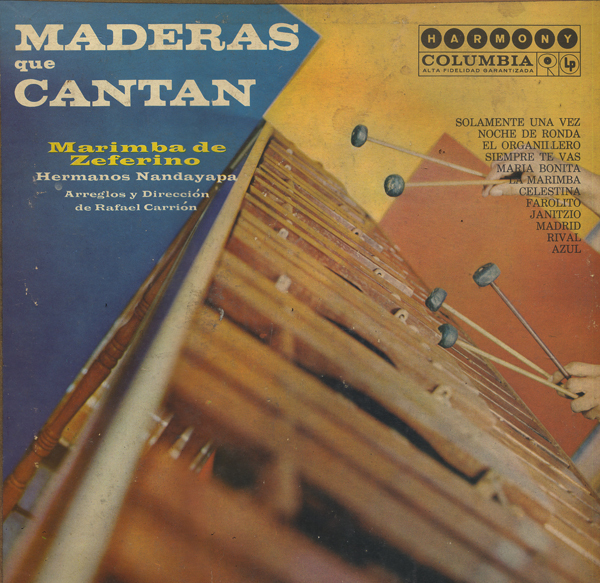 Jacket notes indicate that he was "friends" with Ernesto Lecuona, a noted Cuban composer who helped "develop Mendez' feelings for tropical music". There is also one interesting note about the Mendez writing a concerto for the pipe organ and the sounds of space and motion. "Unique? Imagine if you will, a pipe organ accompanied by vacuum cleaners, blenders, air conditioners, and other appliances!" Hmmm... I wonder if there was a recording made of that piece of music?!! 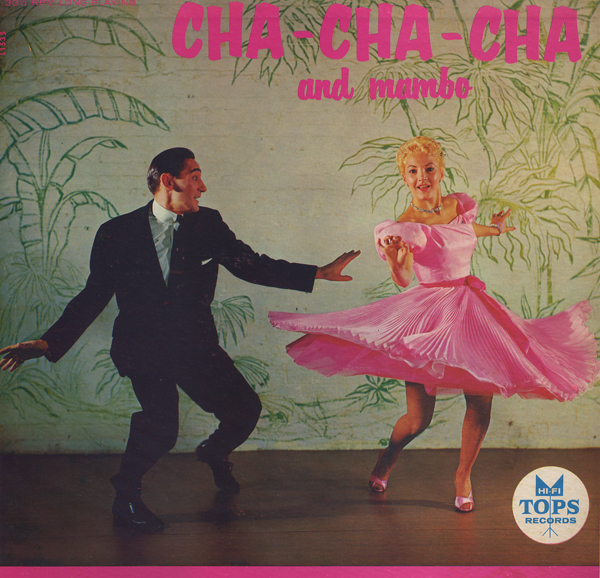 The sample, Sway, is a much recorded tune written by Pablo Beltran Ruiz and made famous by Dean Martin in 1954. Info about downloads and my blog. I can't find a release date for this album. You can find it online in CD and by-the-download. 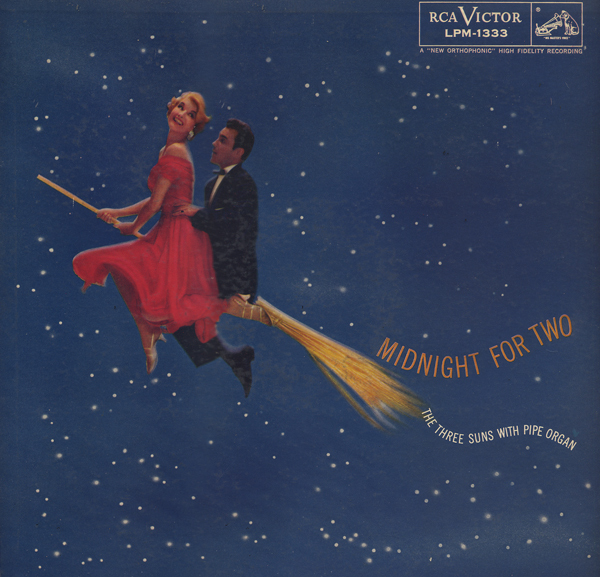 You wouldn't get the original cover art with the digitized versions. The music is way easy listening. 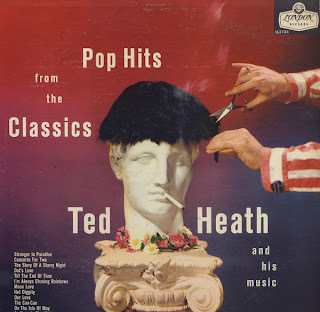 Heath albums can sport fun art. In this case "cutting long hair". An image that seems odd today. But "long hair" was a way of saying "stuffy" especially when it came to classical music (long hair music). This would be a visual way of saying "I'm made the classics cool."